Ireland’s Attorney General has begun an investigation into bonus payments paid to Bank of Ireland employees. Over the weekend it emerged that the bank had been untruthful regarding the extent of bonuses given to staff, the AG and the Department of Finance are now investigating the matter. 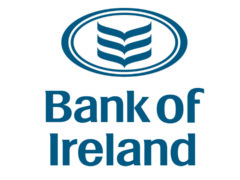 The Irish Bank signed a subscription agreement when the government bailed the troubled bank out in 2009 where they agreed to disclose all payments of bonuses between the years 2006 and 2008. Bank of Ireland informed the Finance Minister, Brian Lenihan, that no bonuses were paid in that period. However the bank has now admitted that it honored “contractual bonuses” to key members of staff.